This is a lesson based around Pamela Meyer’s TED talk “How to spot a liar” on the subject of dishonesty in society. Note: These classes were designed for a two hour post proficiency conversation class. I normally set the video as homework for my students the week before. I met Leo Messi and Mascherano on the beach. 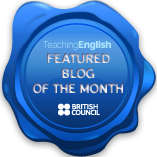 Give students two minutes to ask you questions to try and catch you in a lie. Then they must say which one they think is true and explain why, did they pick up on any vocal or body language signals. Then reveal which one is a lie (number 2 for me). Award one point to each student that guessed correctly and one point to yourself for each student you duped. Now give students five minutes to do the same; write three sentences about themselves, two true, one false and continue the game. The winner is the person with the most points, who earns the title master liespotter. Who was the best liar? Who was the best liespotter? Give out the vocabulary matching sheet and the transcript. Put students in pairs and have them complete the exercise, the vocabulary words are in order as they appear in the transcript so if they get stuck they can find the word in context to aid their understanding. 1-k, 2-d, 3-j, 4-c, 5-a, 6-v, 7-t, 8-r, 9-q, 10-n, 11-e, 12-u, 13-l, 14-w, 15-x/b, 16-x/b, 17-p, 18-m, 19-o, 20-h, 21-I, 22-s, 23-g, 24-f. The answers to the comprehension questions can be found underlined in the transcript. What does she mean? Do you agree? Why do people lie? Brainstorm on the board. How much money did she say was lost because of fraud? Nearly a $trillion. How much money is lost to fraud in your country? Can you think of any big fraud cases? What does she say about when strangers meet for the first time? That they lie to each other on average 3 times in first 10 minutes. What does she say about the difference between men and women? That men tend to lie more about themselves while women lie to protect people. What does she say about marriage and relationships? That married people lie to each other in 1 in every 10 interactions. What lies do couples tell each other? Are these little white lies? What does she say about animals lying? Coco the gorilla blamed a kitten for ripping a sink off the wall. What does she say about how children develop their deception skills? Babies fake crying, children hiding, bluffing and flattering to get what they want. She says we live in a post truth society, what does she mean by that? With the internet, politics and capitalist society we are surrounded by scammers, and exaggeration. How often do liespotters distinguish a lie from the truth? 90% of the time. What are the speech patterns of a liar we see in the Clinton video? Emphatic denial, formal phrases, distancing language. What are the body language patterns? Freeze upper body, too much eye contact, blink more, chatter with fingertips, fidget, don’t smile with eyes. Could you identify these actions in the videos? Are you a good liespotter? What other videos did she show? Grieving mothers, lying politicians. What did she say about the attitudes of honest/dishonest people? Dishonest people tend to be more detailed, and stick to a chronological order. Set the other vocabulary worksheet as homework. This is a conversation lesson plan for higher levels (B2+) based on Daniel Kish’s TED talk “How I use sonar to navigate the world”. What do you call a person who can’t see? What would it be like to be blind? How do you feel when you see a blind person in the street? Are there any advantages to be being blind? Think of some things that blind people can and can’t do. How do blind people navigate the world? What do you think would be the most difficult thing for a blind person to do? What did you think when you first saw Daniel? What did he say about the way in which people treat and react to blind people in society? Describe how he navigates the world. What does he call this system? Do you think you could use flash sonar? Do you think you have good eyesight/a good sense of smell etc.? Try and come up with a definitive order as a class. If you had to lose one of your senses, which would you choose and why? Divide the class into 5 groups and write the 5 senses on small pieces of paper. Each group picks a piece of paper, they then have to explain why the sense they have picked is the most important. Give them a few minutes to think of some arguments and every day situations to back them up. Students write a CAE/CPE report/proposal detailing ways in which a school or public space could be adapted for blind people. Alternatively, you could set an essay based on the TED talk evaluating Daniel Kish’s upbringing compared to more conventional parenting styles for blind/disabled children. 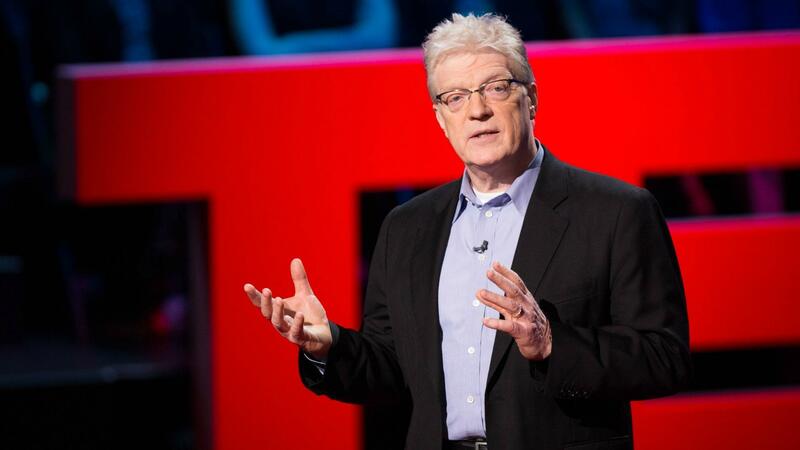 This is another TED Talk lesson, this time based around Sir Ken Robinson’s fascinating talk on creativity in the education system. Please find an annotated transcript below. All I’ve done is underlined some interesting points he makes and vocabulary he uses, you can use them as a jumping off point for class discussion or simply mine them for useful vocabulary.